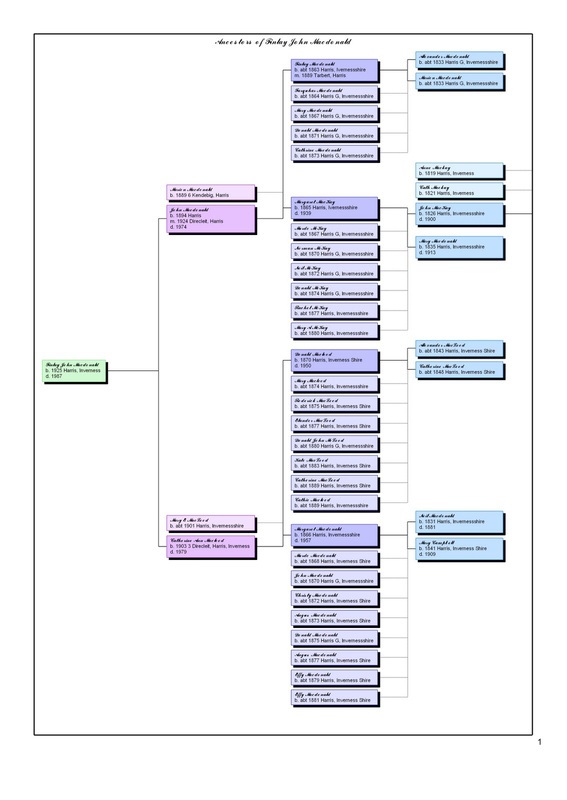 Once I had completed researching my own lineage on Harris and Lewis, I thought that it would be interesting, and fairly easy!, to chart all of the Kerr families on Harris. I couldn’t have been more wrong. It has taken a considerable effort to amass the information. The excellent thing about Scottish records is that they contain more information than their English counterparts and it only costs pennies over £1 to access an image. Compare that with the £9.25 for a (less-informative) Birth, Marriage or Death Certificate from England! Nevertheless, I have not accessed every single such record for Harris but sufficient for me to be able to present the following with a pretty high degree of confidence. Oh, and my one complaint where the English records are superior to the Scottish, is that the indexing of those in Scotland is comparatively poor and one is charged to view each set of results, whether or not a likely ‘hit’ happens to be found within them. These, the, are the 10 original ‘Hearth-holds’ (as I have elected to describe them!) from 1841.
j2) Angus (1835-bef1881) One of Angus’ daughters leads to my only known cousin in Harris. j2j1) John Kerr (prob911-1985, NOT born on Harris) (John’s Son) witness on his father’s Death Cert. This John, son of Roderick, son of Malcolm, son of John, son of Malcolm, was the last male Kerr to be born on Harris. He died elsewhere. My grandfather was John, son of Annie, daughter of Malcolm, son of John, son of Malcolm. One odd fact that I have noted is that those who ’emigrated’, whether to Lewis, Argyll or England, produced significantly more male heirs, both during their time on Harris and after. There must be many in Argyll and England with Harris roots, but whether they are aware of them or not I have absolutely no idea! Note: I hope that the combination of letters and numbers used to identify each generation is reasonably easy to follow. I opted for it for reasons of brevity. 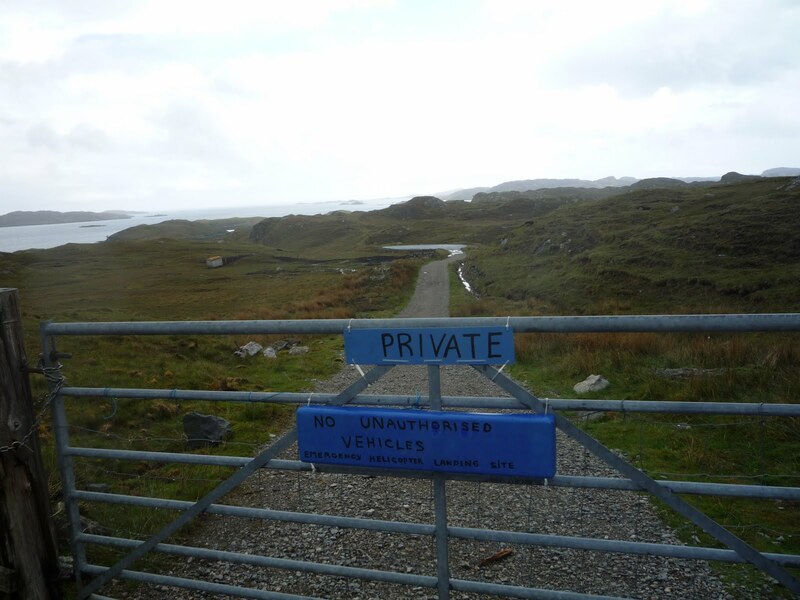 I found this somewhat surprising sight at the start of the Bays of Harris. be a somewhat daunting area for the helicopter to consider landing in. The road appears be following an old track to the shore at Direcleit. The final breath was taken. Direcleit home spun to dereliction. When the township was recrofted in 1885, No. 3 Direcleit became home to Alexander Macleod (1835-1911) and his wife Catherine Mackay (1847-1904), both from Geocrab, and in 1911 the croft passed to his son Donald Macleod (1870-1950). John Macdonald and Katie Ann moved to Scarista and one of their son’s is known to us as Finlay J Macdonald (1925-1987), the broadcaster and author, who described his visits to his grandparents at Direcleit in ‘Crowdie and Cream’, ‘Crotal and White’ and ‘Corncrake and the Lysander’. Finlay J Macdonald himself, however, was in one sense a product of the combination ‘Direcleit and Ceann Dibig’! In ‘Harris in History and Legend’, Bill Lawson explains that in 1803 ‘these villages were a part of the farm of Losgaintir’ and that reference is made to the ‘sub-tenatns or cottagers in…Keandibig and the herd in Dereclet.’ At this point, I should mention that I have shown the variety of spellings as they appear in the censuses, not least as an example of how one has to take a somewhat flexible approach in interrogating databases if all the data is to be collected! Kendebig doesn’t appear as a separate entity, but one could use the Croft History! In 1846 most of the crofts were bisected to accommodate people cleared from Borve in Berneray and the figures for 1851 and 1861 reflect that situation. Unfortunately, the division in the 1881 Census of Harris into North and South was not accompanied by an accurate recording of all the townships and hence I have been unable to produce figures for that year. The census of 1981 was the last to separate the figures and so the last record we have of the population of Direcleit is from that year. 163 people is the highest recorded population and a healthy 92.8% of them spoke Gaelic, too! Dieraclete (Harris) Diricleit, ‘Deer Cliff’, from Norse. The ‘Deer Cliff’ is the nearer line of hills in this view taken from the Tarbert-Uig ferry. Delighted as I am to have now found this, at the time I was working on the idea that Direcleit might be a contraction of ‘Doire nam Cleit’ or Oak Grove (of the) Cliff. Dirnanean in Perthshire apparently derives from Doire nam Eum, Oak Grove of the Birds, and Diriebught in Inverness from Doire nam Boc, Oak Grove of the Bucks! Coastline from Tarbert dock to Direcleit hosts a broad range of native tree species including Aspen, Downy Birch, Hazel, Grey willow, Sallow Willow, Rowan, Holly. 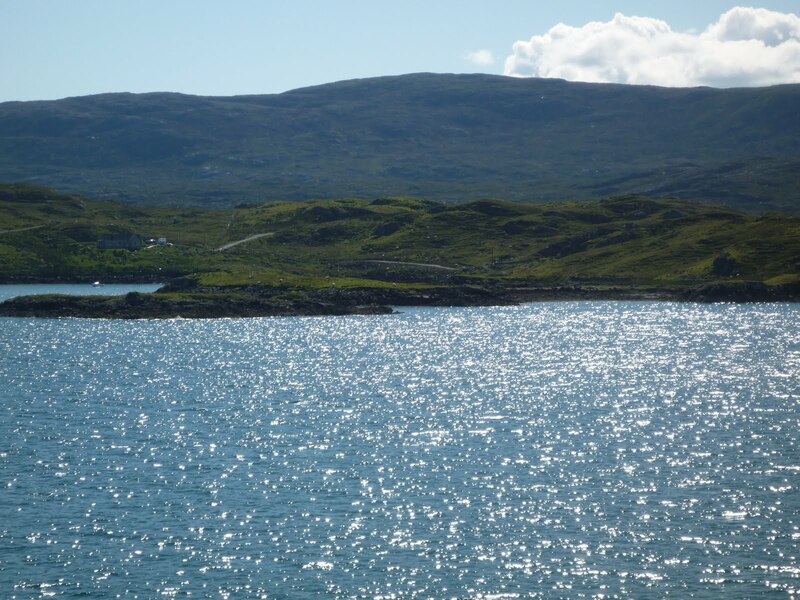 The name ‘Craobhag’ is given to the place that lies between Tarbert and Direcleit and means ‘Small Oak’. In fact these are stunted English Oaks, NOT Sessile Oaks,indicating that the site was recognised in the past for its woodland activity. You can see how this helped fuel my ‘Oak Grove’ conjecture, but alas, I couldn’t see the wood for the trees. Diren – Another contraction of ‘Doire’? Ceann Dibig -Head of the Deep Bay?